I’m an Official State Fair Exhibitor, Times Five! Our State Fair begins on Friday and this year I entered five items! It’s going to be hard to beat last year’s record of a blue ribbon for every entry (i.e. one blue ribbon for one entry) but I am hoping to make at least a little bit of thread money for next year’s projects. So, if you’re going to the Maryland State Fair, make sure to go to the BEST building there (Home Arts, obviously) and look for the dresses in the Clothing section and the quilt and tote in the Quilting section. Last year, I resolved to enter learn woodcarving (mythical creatures) and all sorts of other obscure things, which did NOT happen. 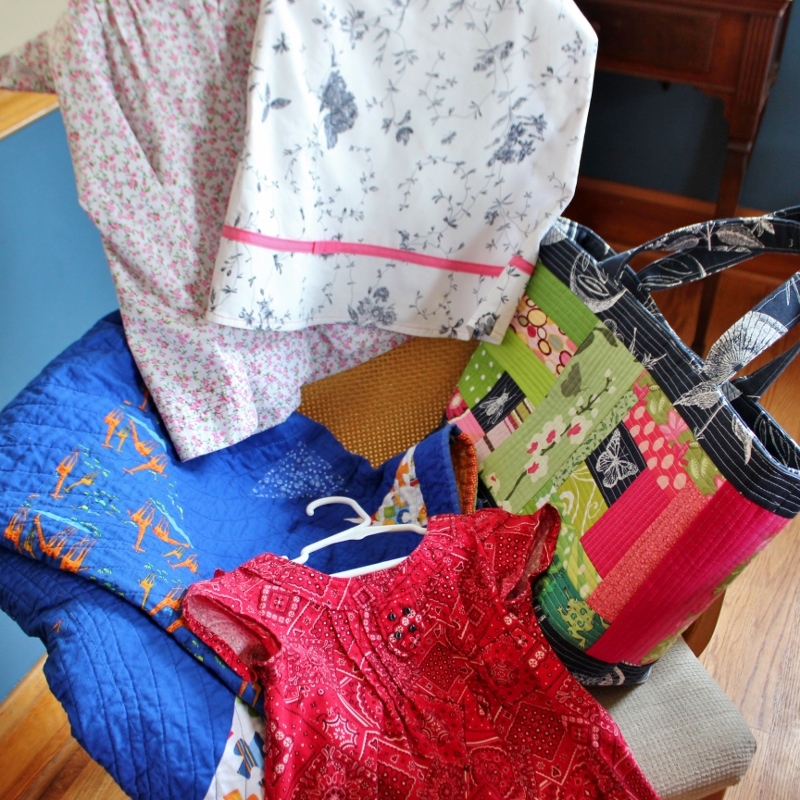 However, I also decided that I wanted to enter a bag, a quilt, and a dress and look at that! I did! I almost didn’t enter Mark’s quilt because it has so many imperfections in it but there was a specific category for “small quilts, made for a child, primarily patchwork” and that fits Mark’s quilt exactly. Also, his quilt is very different than almost any other quilt I’ve seen at the fair. It’s in the “modern quilting” realm and so I figured other people might enjoy seeing it there. Plus, it will be hanging up high, where hopefully all the flaws will melt away! This entry was posted in sewing and tagged Home Arts Buidling, Maryland State Fair. Bookmark the permalink.